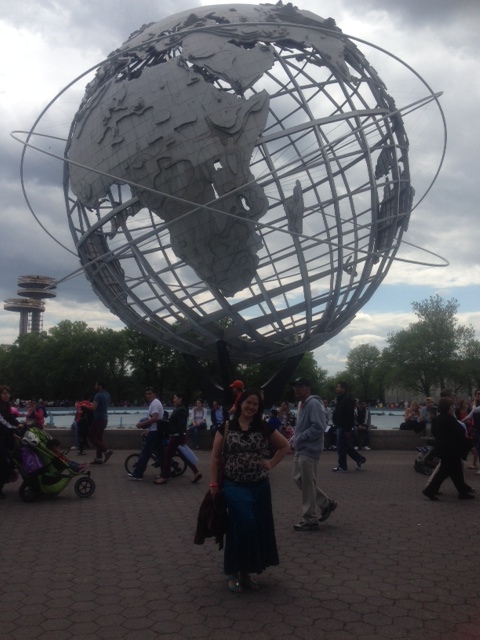 Last weekend I spent the day at Flushing Meadows Park in Queens, home of the original Unisphere (above), for the World’s Fair Festival. 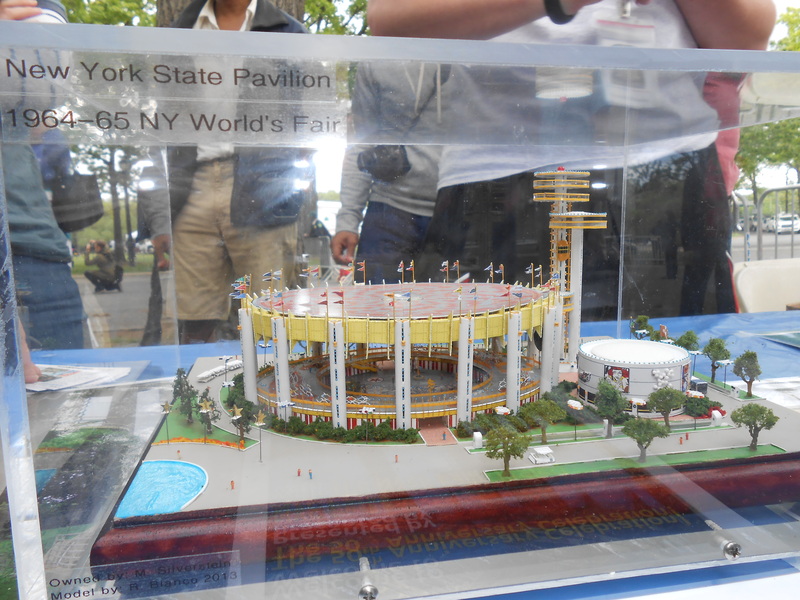 We started off getting our ticket to go inside the New York State Pavilion, as well as the Queens Museum. 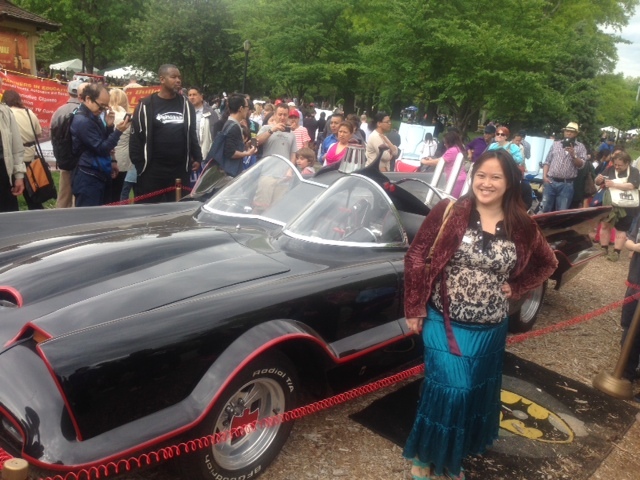 As we were walking from place to place, we came across a display of awesome cars such as the original Batmobile that I am posing with below! 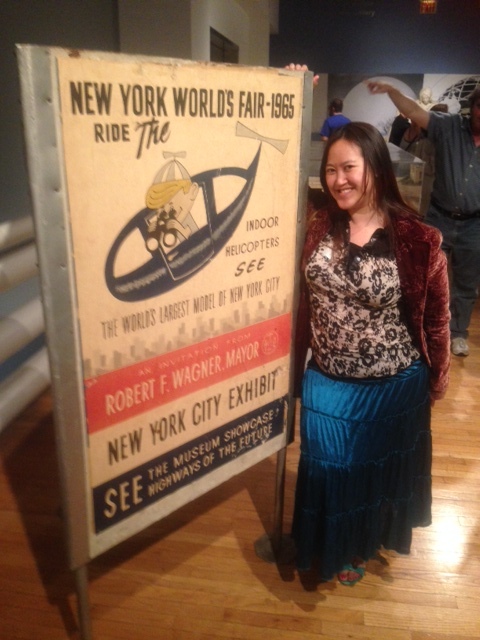 After touring the New York State Pavilion, we headed to the Queens Museum, where they had the original poster of the New York World’s Fair 1965. 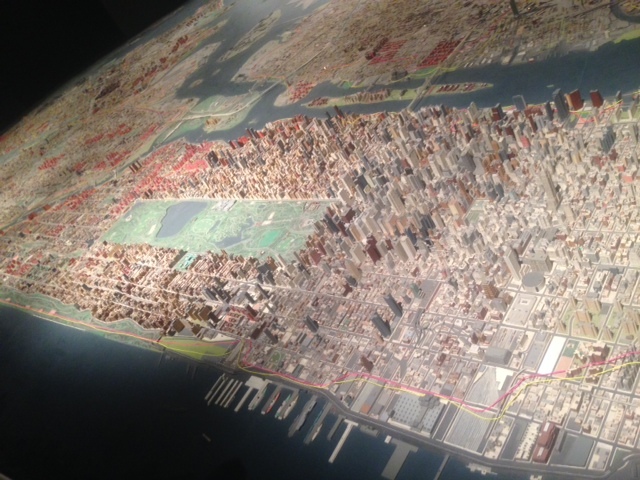 There was also a panorama of all 5 boroughs of New York City. It was pretty cool to see the entire city laid out like that! 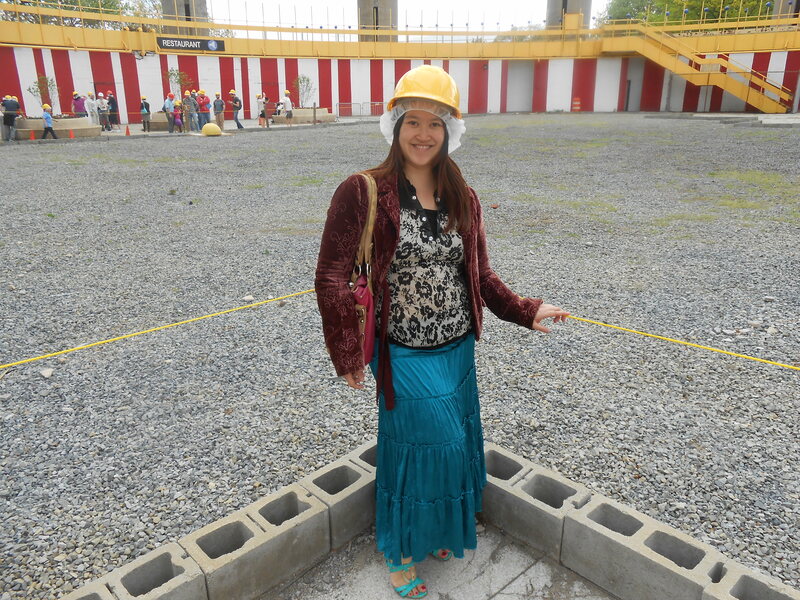 We spotted some of the iconic landmarks, and even a little plane that flew out of LaGuardia Airport. 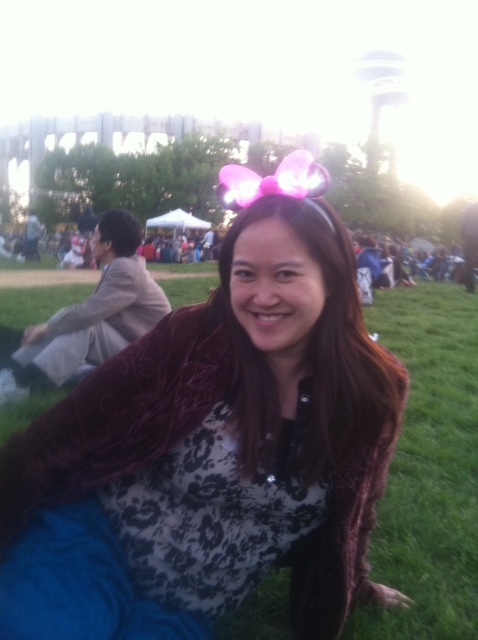 After that, we went to one of the food vendors then listened to a Beatles tribute band then enjoyed some classical (live) orchestra music while sitting on the lawn, chatting it up in good company. I even got a cute hot pink (what other color would I choose?) light up Minnie Mouse ears! After the band finished, we were privy to a spectacular, gorgeous, colorful display of dazzling glittering fireworks that rivaled any that I’ve seen before. It was amazing to see the fireworks so close up and a beautiful ending to a fun-filled day. 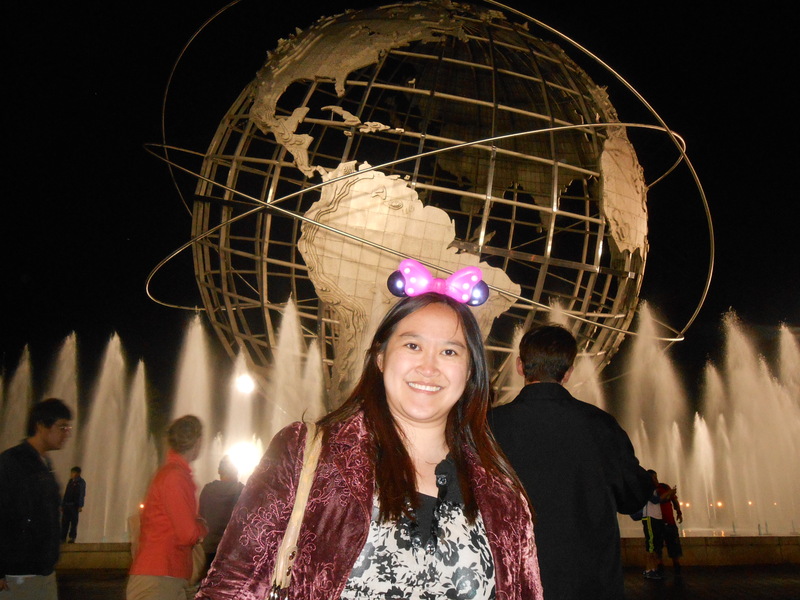 On the way out, we got the see the Unisphere in full splendor with the fountains turned on!